In February of 2018, Dr. Robert Gilman went to Cartagena, Colombia for the 20th time. This many trips to the same spot would be an accomplishment for a vacationer visiting their favorite beach town, but that is not why Dr. Gilman goes to Cartagena. In this large Caribbean city there are people in need. Dr. Gilman is part of a team that performs pediatric reconstructive surgery through the local Children’s Hospital and University Clinic. In his time there, he and his team have operated on over 1000 children. They do everything from cleft lips and palates to burn reconstruction to congenital hand deformities. 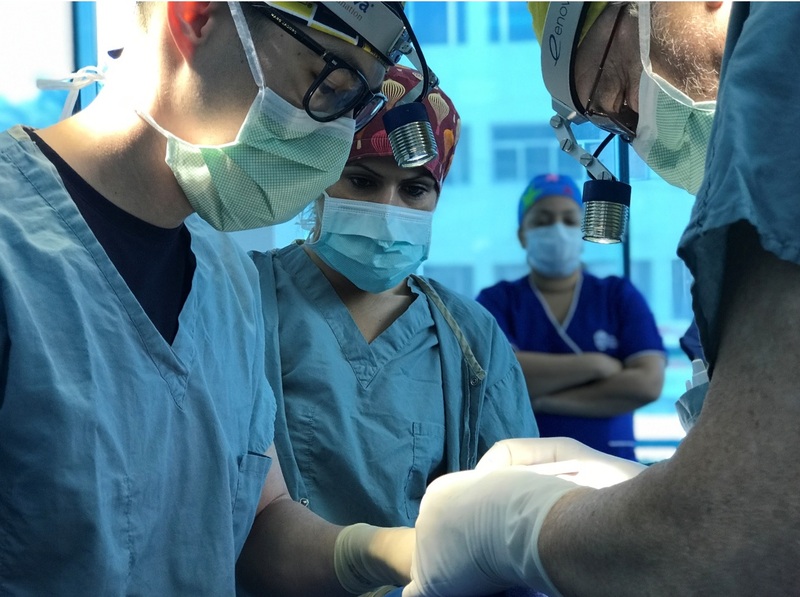 With the help of Colombian sponsor Rotary International, and American sponsor Healing the Children NE, children in need of surgery are brought to Dr. Gilman and his specialized team in Cartagena. The surgical team gives many of these children a chance for a normal and healthy life, while also preparing the next generation of surgeons. Included in the team of 20 that set up shop in Colombia are two surgical residents from the United States. 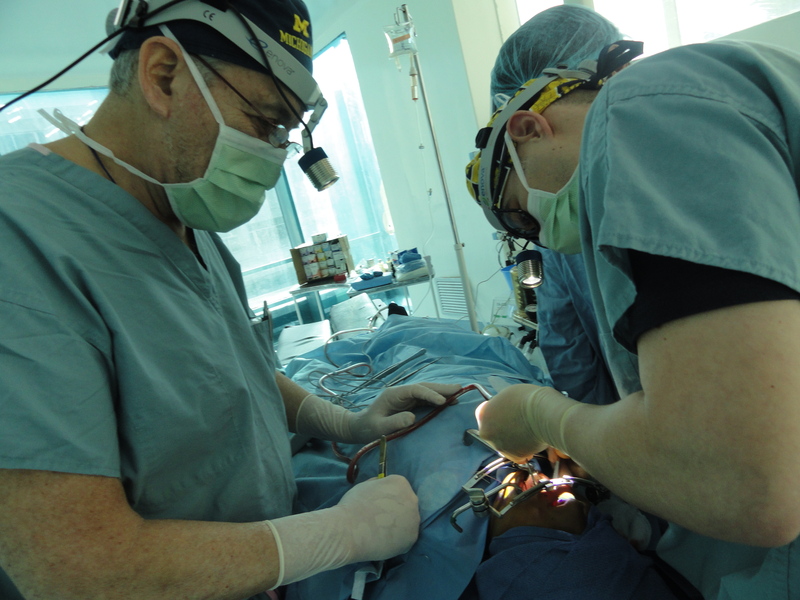 Dr. Gilman has surgical ties to the University of Michigan and Harvard, and thus brings one resident from each university with him on his missions. As a young surgeon the experience of witnessing and aiding in countless surgeries – and bettering the lives of children – is invaluable. These young American residents also get to work closely with Colombian residents. The local residents help screen patients before Dr. Gilman’s arrival, and take care of the kids when the surgical team from the United States is not there. Sometimes the American and Colombian residents also get to “scrub in” and help with the procedures. Creating opportunities for surgeons-in-training in an environment such as this really is the best of both worlds, but it wasn’t always this way. Over the twenty years that Dr. Gilman has been traveling to Colombia he has gotten to witness a lot of gradual – yet steady – improvements to the facilities and care that are offered in Cartagena. In the first years of working there, electricity was unreliable, often going out at times of need. But over time and through gradual change, the facilities have become modern and sufficient for training the local and American residents. Even in the reliable and modern hospitals of Cartagena, surgical headlights give surgeons necessary vision in the OR. Whether a surgeon is performing in Colombia, Haiti, or Minnesota, Enova’s headlights help doctors see better so that they can perform better. 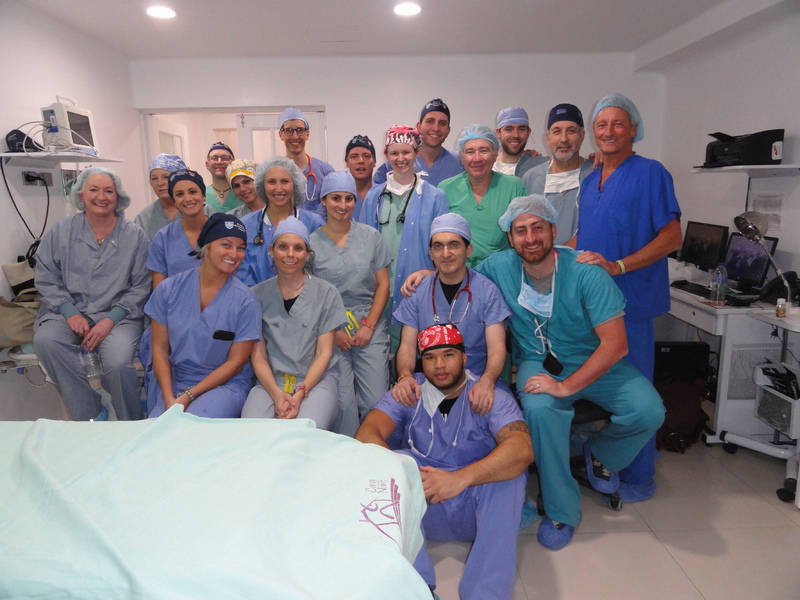 Dr. Gilman’s next trip to Cartagena will be February 6-16 of 2019, and we wish him and his future patients all the best. He will again be taking some Enova lights with him, and we are delighted our products can help in his wonderful endeavor. Next PostNext August Shedding Light is Here!